The Island of Ibiza Spain is well known as one of Europes premier party destinations for the twenty somethings however away from the boisterous nighlife of San Antonio the island offers both natural and cultural experiences typical of the Balearic islands and Spain in general. 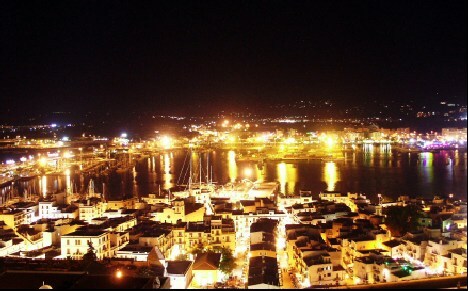 Don't make the mistake of writing off Ibiza as only for the partygoers! Ibizas first tourists were in fact the hippies and backpackers of the 60's who shunned the resorts of the Costa Brava and instead saw the isle of Ibiza as the peaceful and idyllic suroundings that they were searching for. Nowadays this influence has almost dissapearred as the mainstream tour operators have moved in to bring package holidays to the masses in much the same way as many other sites of natural beauty around the world have been exploited such as Phuket Thailand or Bali Indonesia. Thankfully though these activities have been concentrated in a number of resorts and this means that the majority of Ibizas coastline is still in a natural state and a proverbial treasure trove of unique and interesting traveller or visitor activities and experiences! Ibiza enjoys the same calm clear waters and white sand beaches of its neighbours and fellow islands in the Balearics (Mallorca, Menorca and Formentera) without being either as crowded as Mallorca or as rural as Menorca. 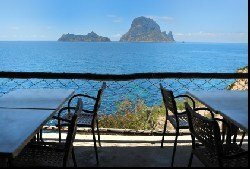 It is however the best placed island in the Balear chain for those visitors looking for both sereneity and activity in the same holiday destination! The small geographical area of Ibiza Spain makes it possible to experience remote beaches and 24 hr nightclubs / discos within ten minutes of one another! Ibiza travel - in detail! 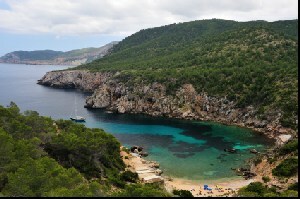 With such a wide variety of attractions in Ibiza and the presemce of our ever useful practical travel information Unique Spain offers a number of detailed guides to assist in planning and enjoying your visit to Ibiza! Top of your list of things to do in Ibiza! Extensive and detailed information relating to Ibizas transport infrastructure including the airport, bus companies etc..
Activities and sights that can only be undertaken or seen in Ibiza Spain!